You are here: Home / Nutrition Advice / Is a Nutrient Deficiency Creating Chronic Whole Body Stress? Are you feeling stressed? Sluggish? In a funk? “Foggy” headed? If so, a very simple nutrient deficiency could help. One of the key concepts we talked about way back in 2005 when we wrote our first book was how trendy “food elimination” diets (low-fat, low carb, etc.) contributed to nutrient deficiencies. 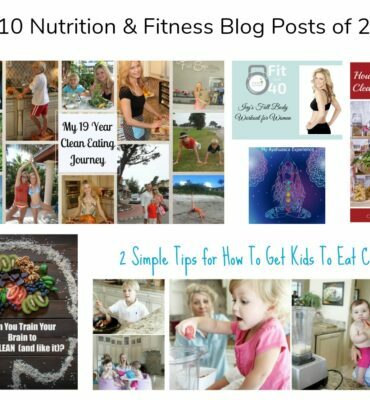 Although it may seem preposterous that anyone could be suffering from a nutrient deficiency in the Land of Plenty, the reality is it is easier than you may think to be getting plenty of calories but not enough nutrients these days. Complicating matters more, a lot of people take supplements and erroneously believe they are covering their nutritional bases. Although we are certainly not against supplements, we always emphasize the importance of trying to get your nutrition first from real, whole foods. For example, supplementing your diet with synthetic folic acid, which is metabolized by your body in a completely different manner than natural folate found in real foods, could potentially do more harm than not supplementing at all. And, while an iron deficiency can most definitely cause a number of symptoms ranging from extreme fatigue and weakness to an irregular heartbeat, too much iron can create oxidative stress, accelerate aging and lead to a number of other problems. 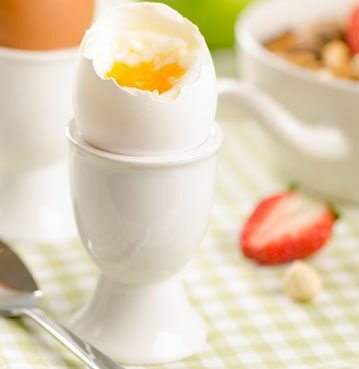 The point is, it is not always easy to fine-tune your nutritional needs without the help of a qualified health care practitioner who can look at your blood work and determine whether you need more (or LESS!) of nutrient X, Y or Z. 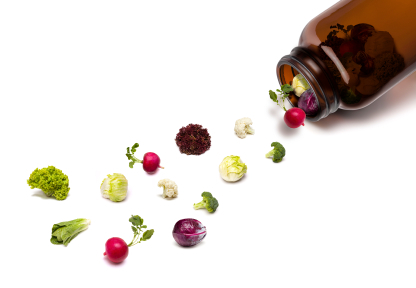 Although there are most definitely dangers associated with overdoing nutritional supplements, it is almost always safe to try and fix a nutrient deficiency with real food. If you are feeling stressed, sluggish, run down or just not up to par, correcting a simple vitamin C nutrient deficiency with the addition of one simple superfood could potentially help. A lot. And, since the nutrient deficiency correction would be solved with real food rather than a supplement, the chances of any negative consequences are slim to none. Is an Overlooked Vitamin C Nutrient Deficiency Contributing to Chronic Whole Body Stress? In an ideal world where we all lived stress-free lives and ate plenty of organic fruits and vegetables from nutrient-rich soil, a vitamin C nutrient deficiency wouldn’t even be considered. But since we don’t all live in utopia, the realty is you could probably benefit from more vitamin C than you currently get, especially when we consider how important vitamin C is to supporting adrenal function. Your adrenals play a critical role in how your body manages stress and vitamin C is absolutely critical for your adrenals to function properly. The more stress your body is under, the more vitamin C your body needs. And your body doesn’t just need vitamin C to lower cortisol and fight stress, this critical antioxidant is essential for more than 300 different functions in your body. Vitamin C even plays a critical role in the creation of key feel-good neurotransmitters, including norepinephrine, epinephrine, and dopamine. The camu berry is a Peruvian superfood and one of the world’s most abundant sources of vitamin C, containing as much as 60 times more C per serving than an orange! Although camu berries are rather hard to come by here in the United States, camu powder is easy to locate at natural foods stores and super convenient to add to smoothies, salad dressings and desserts. I even like to add a teaspoon to my daily green tea. And, unlike vitamin C supplements, camu powder is a real food, so it contains a full spectrum of the naturally occurring bioflavonoids your body needs in order to properly utilize and metabolize vitamin C. Camu powder also supplies a nice dose of potassium and beta carotene along with amino acids and phytonutrients. 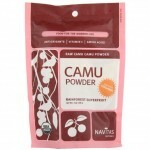 How much camu powder should you take each day? One teaspoon of camu powder contains a whopping 1180% of your Daily Value for vitamin C! Since vitamin C is best absorbed in smaller doses spread throughout the day, I would suggest 1/2 teaspoon camu powder 3 times daily.